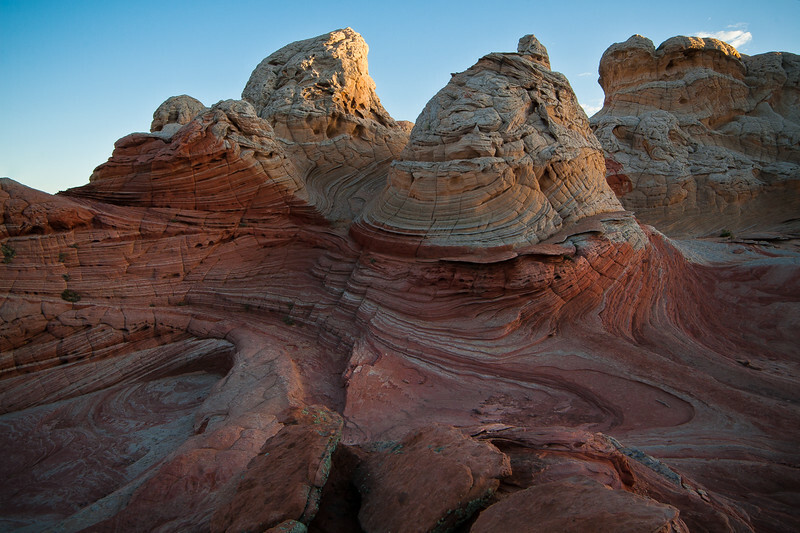 One of the things that sticks out the most of the White Pocket area in Arizona is the varying layers of sandstone and how they seem to have been violently mixed together like they went through a mixer. In many parts of this area you'll see these layers topped with what looks like a white 'cobblestone-like' layer seen here in the foreground. 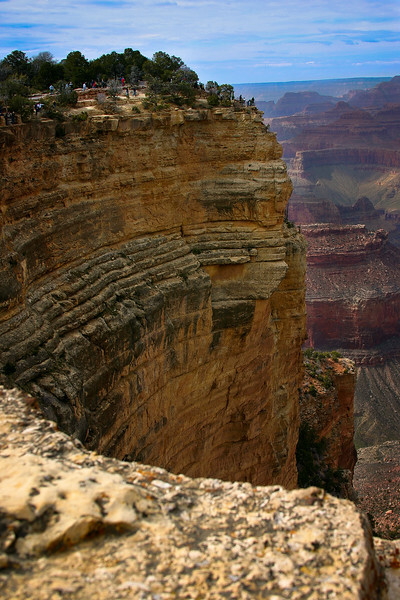 It makes for some very dramatic images and quite a sight to see in person. 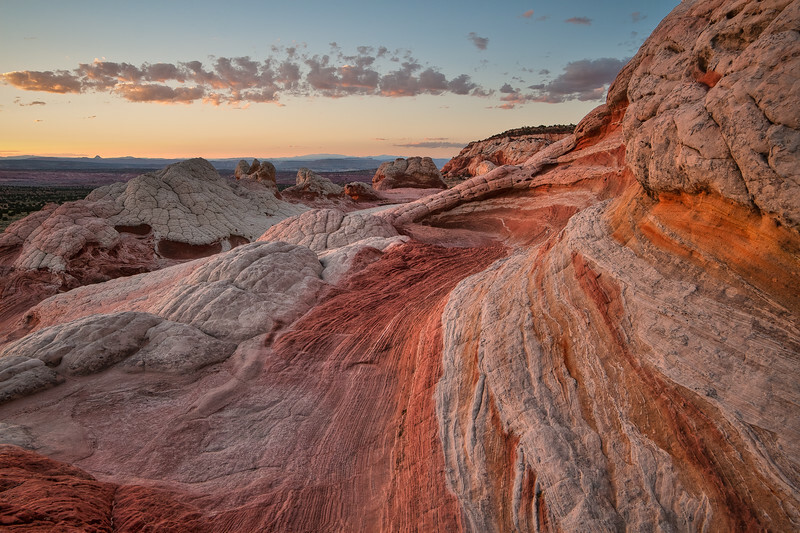 The last light of the day gave the the red, orange and yellow hues in the sandstone an extra kick. A true sight to behold in an area like this. A freeze-frame moment with a great range of tones on this beautiful structure as the morning sun was beginning to lay claim on the area on its trek through the sky. 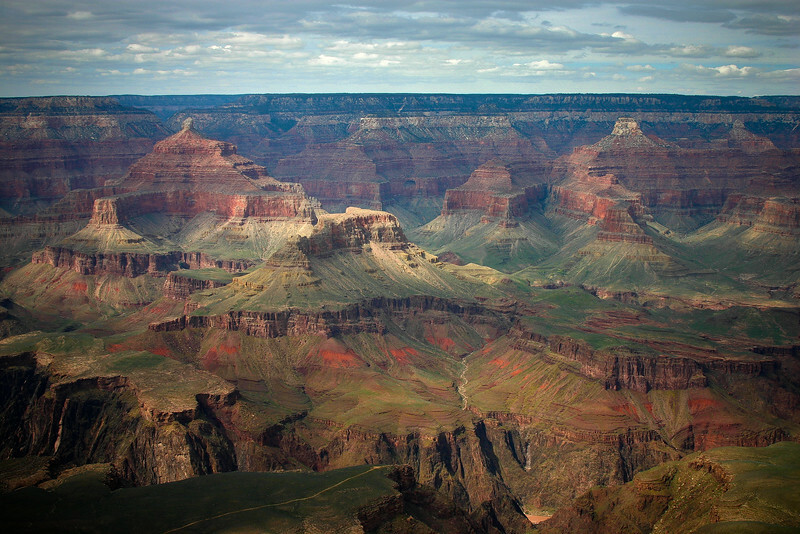 This whole area was quite a sight to see in person. 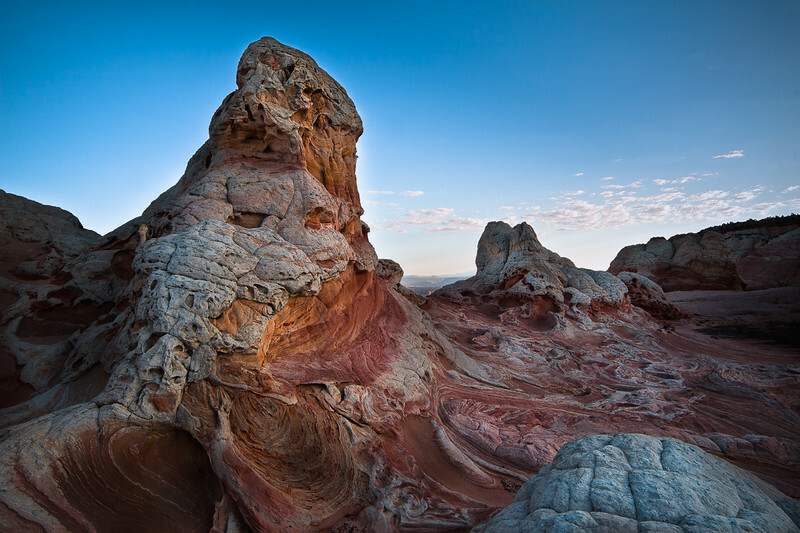 The early morning cool tones mixed with the red rock gives this shot an almost other-worldly feel to the picture. This panoramic was taken in the predawn light hours which made this place feel even more 'other-worldly'. 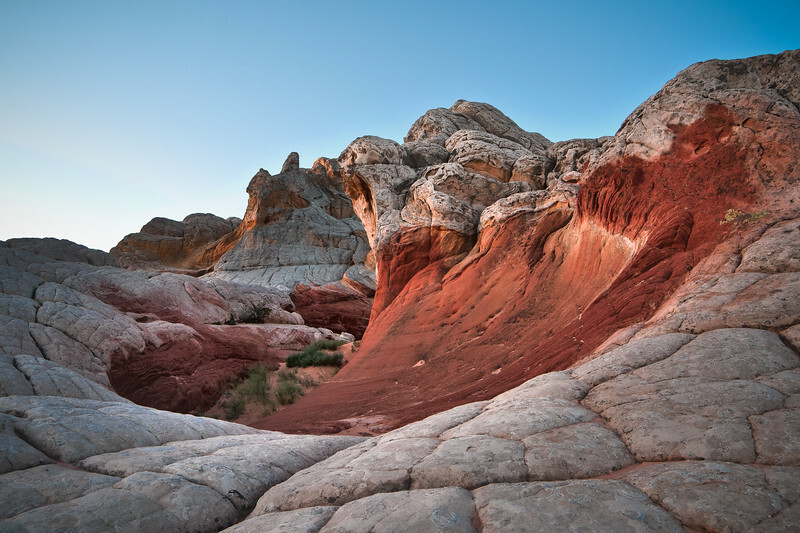 At times I felt like I was on the face of Mars while exploring this enchanting landscape. 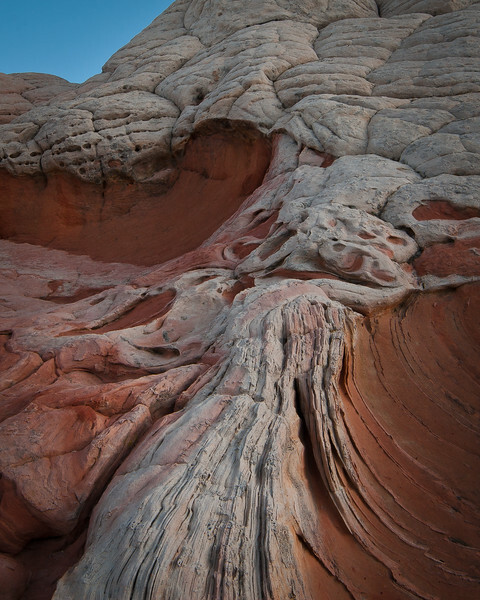 Detailed look at the sandstone texture at White Pocket in Vermillion Cliffs National Monument, AZ. 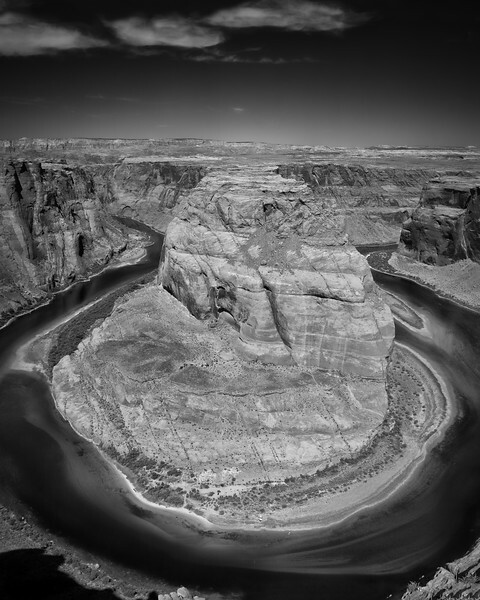 This iconic stretch of the Colorado River near Lake Powell was great to see in person.